If forgot the password to login to Windows Server, you may need to get a bootable disk to reset Windows Server 2012 password. Tips: The new password you type in must meet the Windows Server 2012 (R2) password policy requirements.... When the Windows server 2012 login screen appears, just press Windows key+U key combination. 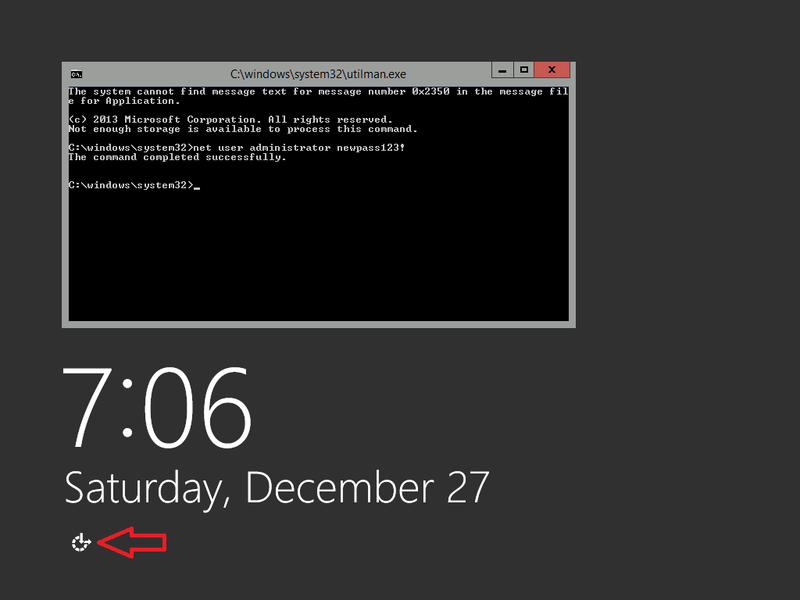 Type net user name password into command prompt and click Enter to execute it. For example, if you want to set the password of the account named iSunshare to be abc, you should just type net user iSunshare abc into command prompt and execute it. If forgot the password to login to Windows Server, you may need to get a bootable disk to reset Windows Server 2012 password. Tips: The new password you type in must meet the Windows Server 2012 (R2) password policy requirements.... If forgot the password to login to Windows Server, you may need to get a bootable disk to reset Windows Server 2012 password. Tips: The new password you type in must meet the Windows Server 2012 (R2) password policy requirements. 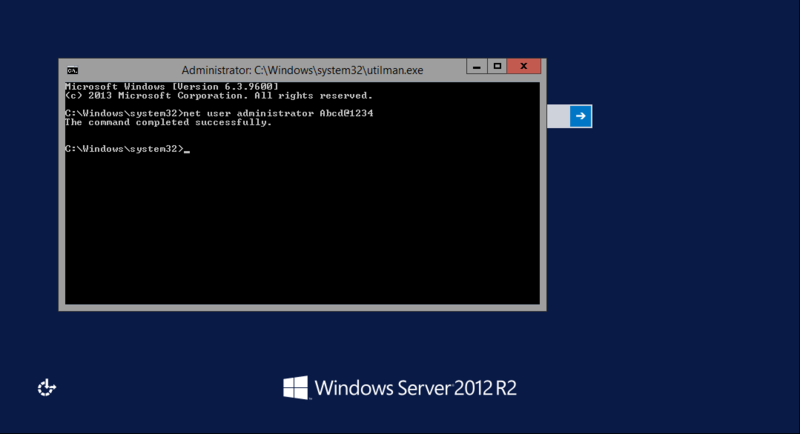 27/08/2013 · Change your Server Administrator Password in Windows Server 2012. Log into your server via Remote Desktop. Press your Windows key and type Administrative Tools.... 5/03/2018 · Hi, To reset the password on your Windows 2012 server, simply complete the following steps: Boot from the Micrsoft Windows Server 2012 DVD; From the Windows Setup menu, click “Next”. No matter which way you choose, the first thing is to create a boot Windows server 2012 password reset disk with the help of Windows Password Unlocker. This will just take you a few seconds, but it must be done in another PC as you apparently cannot sing in yours as administrator. Hello All, I just setup a new dell server with windows server 2012 R2 and put an Administrator account password which I wrote in a note book and have miss placed it. This is a simple and primitive question, but not confident how to proceed. I wan to change the user PW of the Administrator and 2 users that I created in the Windows server. Click Windows icon with Right button and open [Computer Management]. Open [Local Users and Groups] - [Users] and click [Administrator] with Right button and select [Rename].